Publishes inflammatory booklets on topics such as the security barrier, Jerusalem, “theft of Palestinian water,” Palestinian “refugees,” allegations of torture, and Gaza. Publishes a highly misleading map claiming to depict Palestinian loss of land since 1946. In September 2014, held a book talk featuring activist Miko Peled in conjunction with “Jews Against Genocide” (a group that accuses Israel of genocide against Arabs in Gaza). In July 2014, held a protest against “Israel’s comprehensive assault on Gaza and the collective punishment of the Palestinian civilian population” during the 2014 Gaza War. In 2011, DPV published a petition in conjunction with the Palestinian representation in Denmark to push the European Parliament for recognition of a Palestinian state. 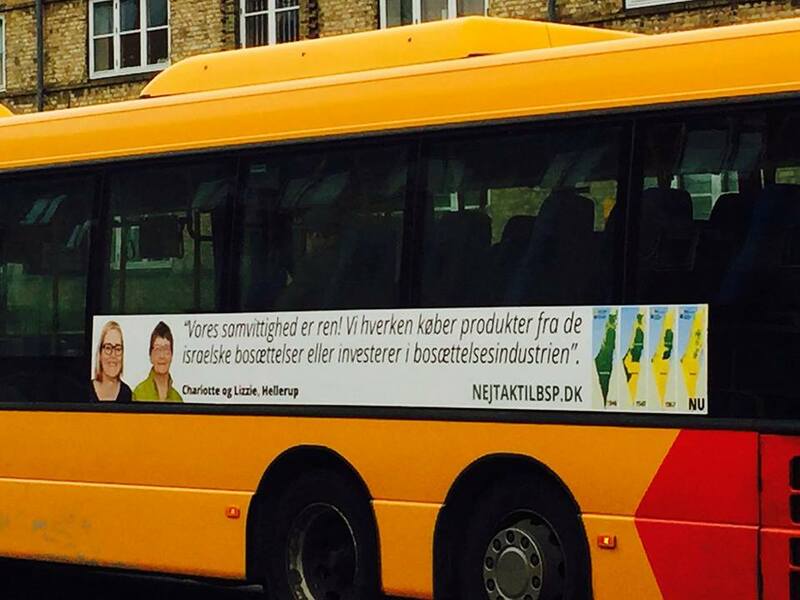 On April 27, 2015, DPV started “a large-scale advertising campaign on 35 bus lines in Copenhagen and the surrounding area.” This “No Thanks to Settlement Products” campaign, which calls for the labeling of Israeli products from the West Bank, is part of DPV’s wider anti-Israel demonization agenda, as demonstrated by the misleading maps on the posters. The second map likewise does not reflect land ownership. The third map ignores the reality of 1948-1967: Jordan ruled the West Bank, and Egypt administered Gaza. The campaign website includes references to material from DanWatch, which receives funding from the Danish Ministry of Foreign Affairs and is part of the “Made in Illegality” campaign in Belgium.